HARRISBURG, Pa. - It took 150 years, but a Pennsylvania newspaper said Thursday it should have recognized the greatness of President Abraham Lincoln's Gettysburg Address at the time it was delivered. The Patriot-News of Harrisburg, about 35 miles northeast of Gettysburg, retracted a dismissive editorial penned by its Civil War-era predecessor, The Harrisburg Patriot & Union. The president's speech is now considered a triumph of American oratory. The retraction, which echoes Lincoln's now-familiar language, said the newspaper's November 1863 coverage was wrong when it described the speech as "silly remarks" that deserved a "veil of oblivion." The paper now says it regrets the error of not seeing its "momentous importance, timeless eloquence and lasting significance." "By today's words alone, we cannot exalt, we cannot hallow, we cannot venerate this sacred text, for a grateful nation long ago came to view those words with reverence, without guidance from this chagrined member of the mainstream media," the paper wrote, echoing the words of the address. Separately, the paper also recounted how it covered the dedication of the national cemetery, nearly five months after the pivotal battle in which federal forces repelled a Confederate Army advance from Virginia into Pennsylvania. More than 3,500 Union soldiers killed in the battle are buried there. During the Civil War, the Patriot & Union was a Democratic newspaper that was staunchly opposed to Lincoln. An event to remember the 150th anniversary of the speech is scheduled for Tuesday in Gettysburg. 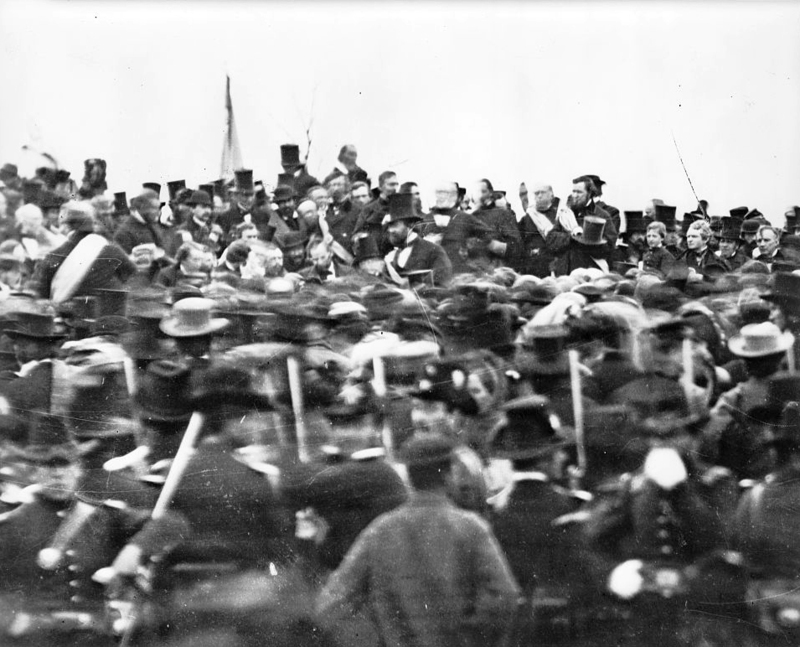 Allen Guelzo, author of "Gettysburg: The Last Invasion," told CBSNews.com that the Battle of Gettysburg, which ended four months before the iconic speech, gave Lincoln confidence to give his address. "For (Lincoln), Gettysburg was like a rainbow in the sky," Guelzo said. "It promised victory and by the end of the summer, Lincoln was feeling free to say peace did not seem so distant as it once did."